A version of a lecture originally given at Wolfson College, Oxford, as part of the Britten Centenary in 2013 was published as “Britten, Auden and the 1930s” in Literary Britten: Words and Music in Benjamin Britten’s Vocal Works, ed. Kate Kennedy (The Boydell Press, 2018). A new novel, The Clock in the Forest, is to be published by the Shoestring Press on 14 February 2019. It will be featured at the King’s Lynn Fiction Festival 15-17 March 2019. 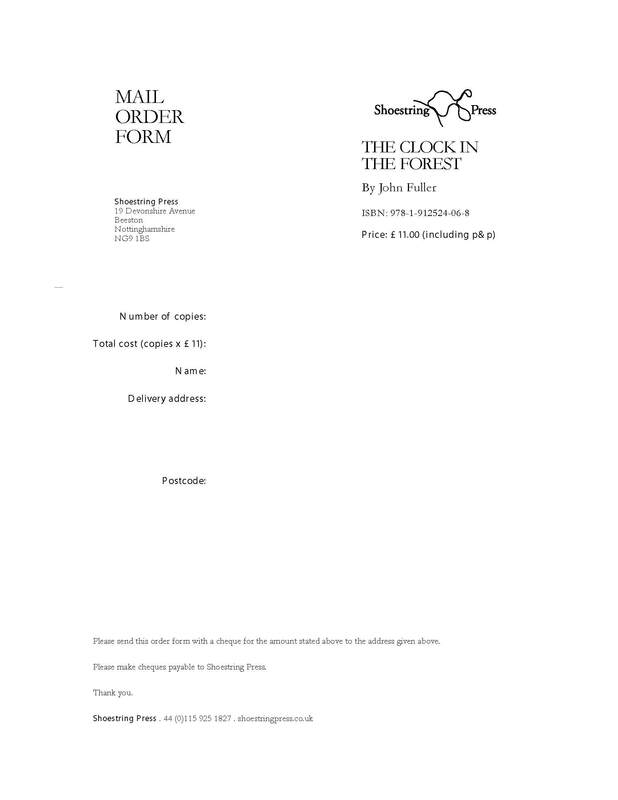 An order form follows here, together with an advance information sheet below it. John Fuller © 2019, Oxford, UK; updated 1 January 2019.